The British Open was part of the British Go Congress and it was held this year in the Prince Rupert Hotel in Shrewsbury, over a weekend where the weather was described as "inclement". The whole event was sponsored by Pentangle Puzzles and Games. The weekend started on the Friday afternoon with tuition by Oh Chi Min (7d), who continued with many game reviews over the weekend. The Open was played on Saturday and Sunday, with the BGA AGM held on the Saturday evening in between. 68 players took part. 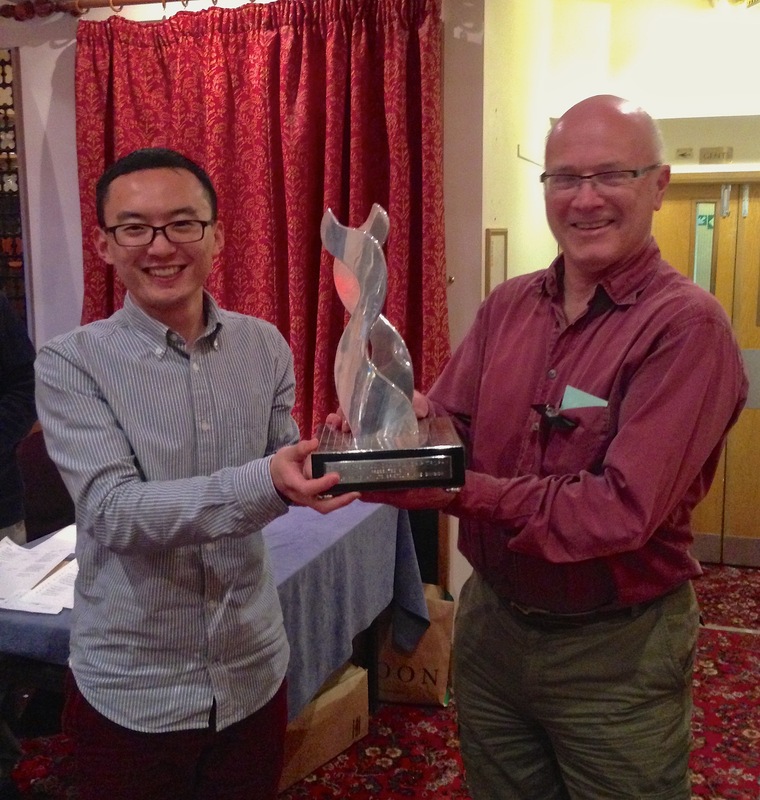 The winner was Junnan Jiang (4d Oxford City) with 6/6 and the runner-up was Alex Kent (3d Bristol) with 5/6. 13k-30k: Daniel Huyne (17k Birmingham) 4/6 (in his first tournament). Other prizes went to Gerry Gavigan (12k South London) for 5/6 and for 4/6 to Jon Diamond (4d), Alex Rix (3d Central London), Juho Pennanen (1d Helsinki University), Jonathan Reece (1k Oxford), Alan Thornton (1k St Albans), Michael Charles (1k St Albans), Peter Collins (3k Bristol), Sue Paterson (4k Arundel) and Alan Stokes (17k Manchester) (in his first tournament).